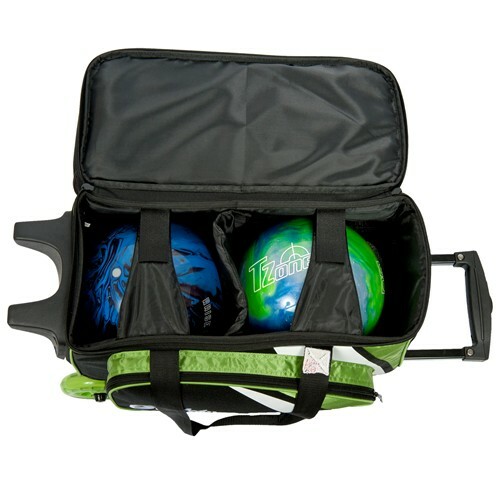 This KR bowling bag has room for two bowling balls as well as all your gear. It provides a separate shoe compartment that holds 2 pair of shoes and has Velcro retaining straps to ensure your bowling balls are secure! 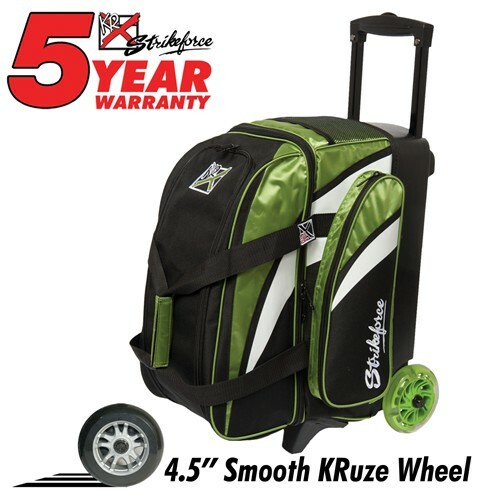 Grab your KR Cruiser Smooth Double Roller Lime/White/Black today! Hey Mike! You will need to email pictures of this to the HelpDept@bowling.com email. Please reference your order number or customer purchase order when sending the pictures or you can give us a call at 1-800-441-2695. Thanks! Due to the time it takes to produce the KR Strikeforce Cruiser Smooth Double Roller Lime/White/Black ball it will ship in immediately. We cannot ship this ball outside the United States.